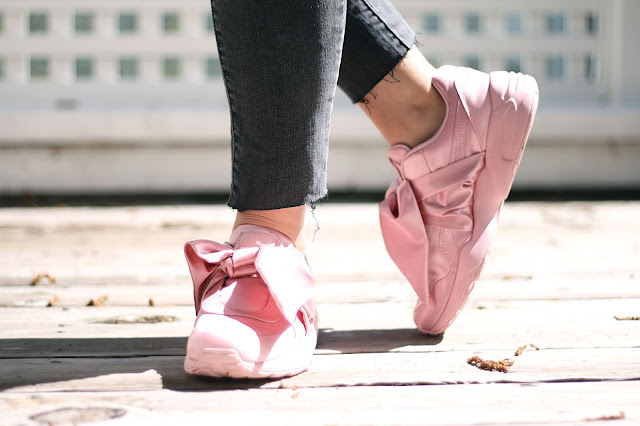 So in LA I got a little spendy and splurged on these rather gorge pink satin bow trainers by Puma Fenty. They come in pink or green and the green pair are equally stunning and I would be so happy to wear those too. 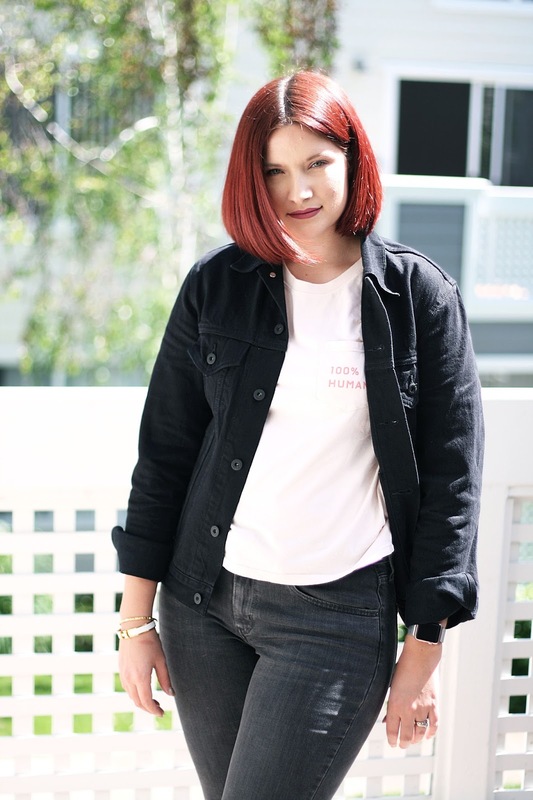 When I tried the pink ones on in store I immediately visualised an all black outfit, an all pink outfit, a casual denim look with pops of pink.... I got quite excited! Over the weekend I went for the last option and I am so happy with the outcome. Super casual weekend attire! 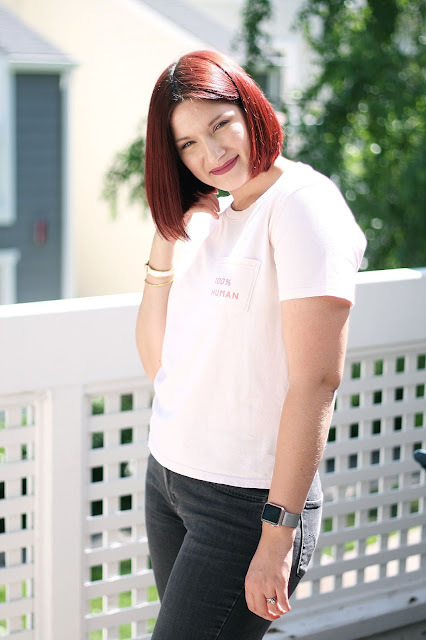 I chose to wear my new trainers with my 100% human tee in a soft pink by Everlane. I am obsessed with this collection, 100% human meaning human rights are for everyone! Everlane continued that message on for international womens day and for every photo on instagram with the #HumanTogether tag they will donate $1 towards Equality now and an additional $5 for every product in the collection sold...so get your purses out people! 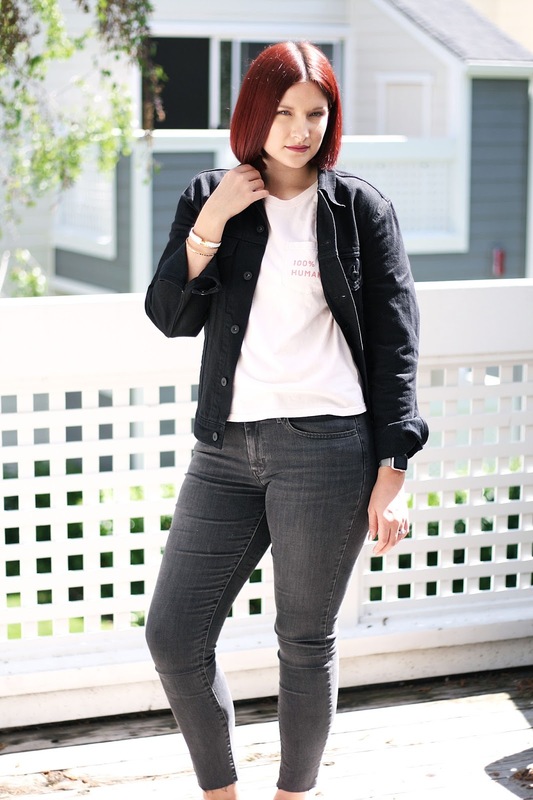 I finished off the look with my new high waist skinny jeans from Levis which I raw hemmed myself and my husbands new black denim jacket which we are sharing. 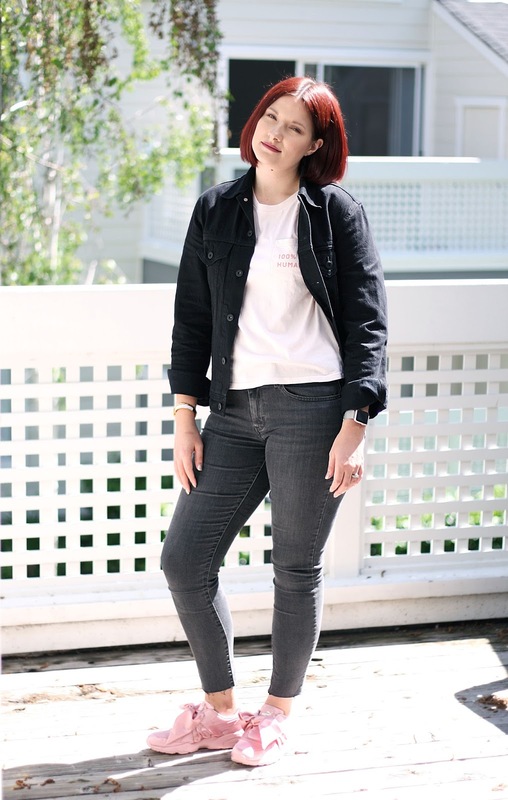 (but basically it's mine) I adore this simple casual look with my new trainers being the star of the show! Comment your thoughts on this look babes!